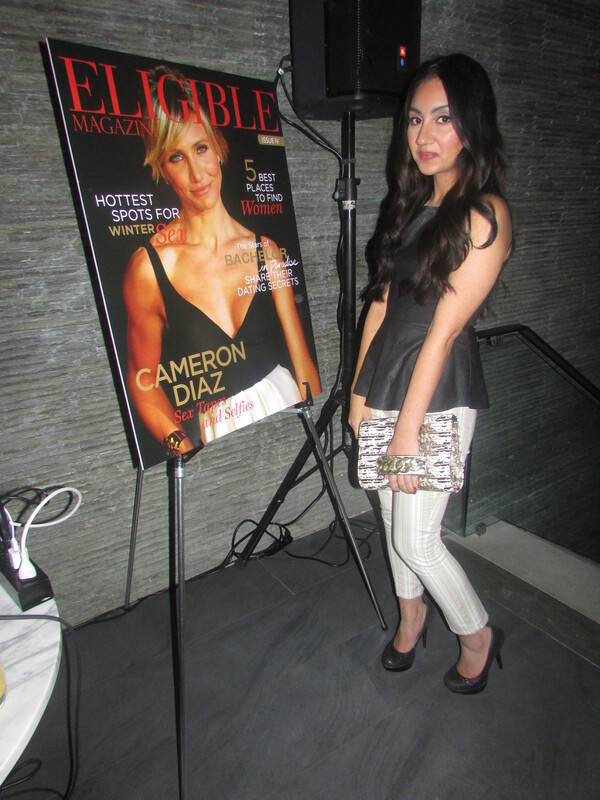 This past Thursday night I attended an event hosted by Eligible Magazine to launch there Fall/Winter Issue (www.eligiblemagazine.com) at the newly opened Templar Hotel in Toronto. 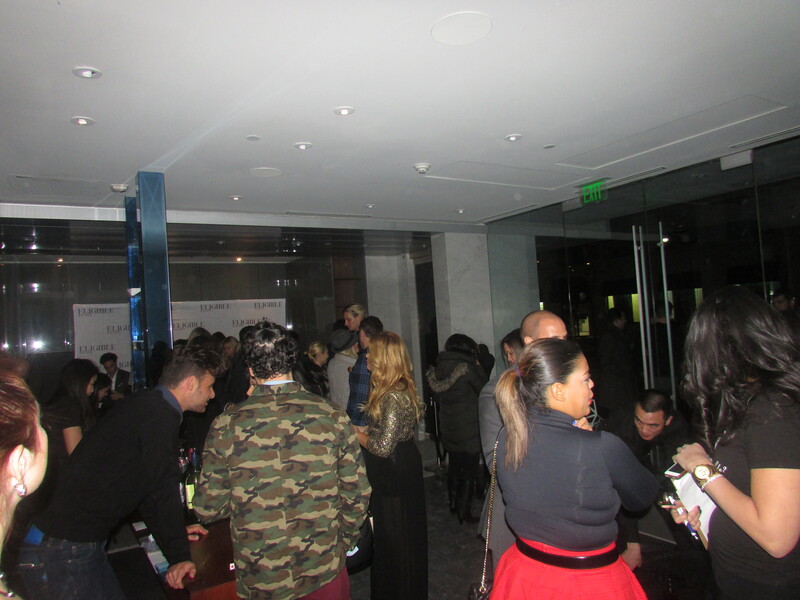 It was such a beautiful venue, home to the stars and elite (James Franco hosted his TIFF party here a few months ago). Eligible Magazine is an online magazine that discusses relationships, dating, lifestyle, fashion and everything else in between that any bachelor/bachelorette in the city is looking out for. 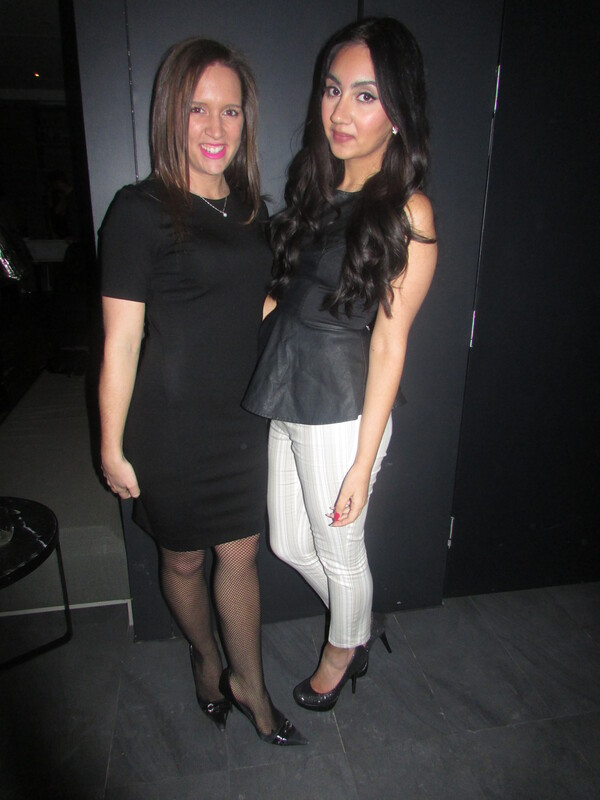 This event brought out a large crowd from the newest eligible bachelors in Toronto to the elite in the fashion, PR and entertainment industries. 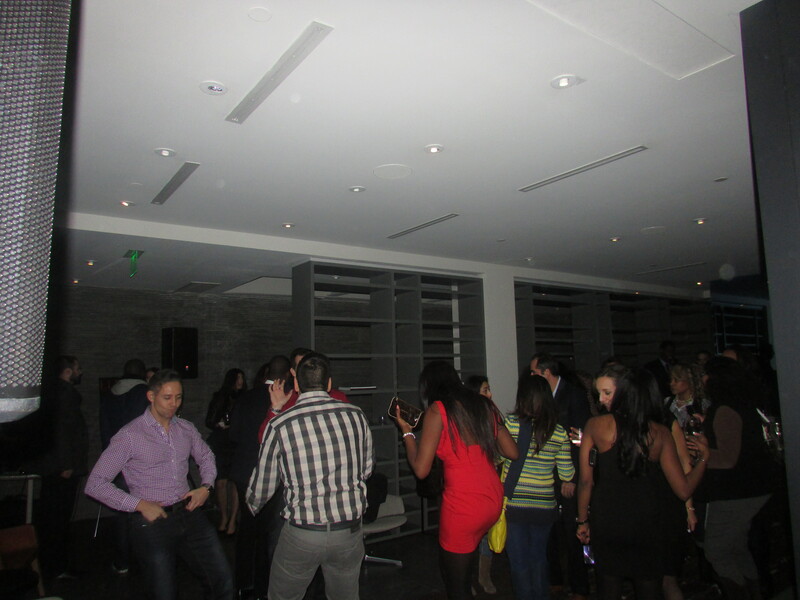 It was an absolutely great event with amazing people to mingle with, delicious food provided by the Templar Hotel and a DJ playing a wide array of new and old hits that got everyone to the dance floor! 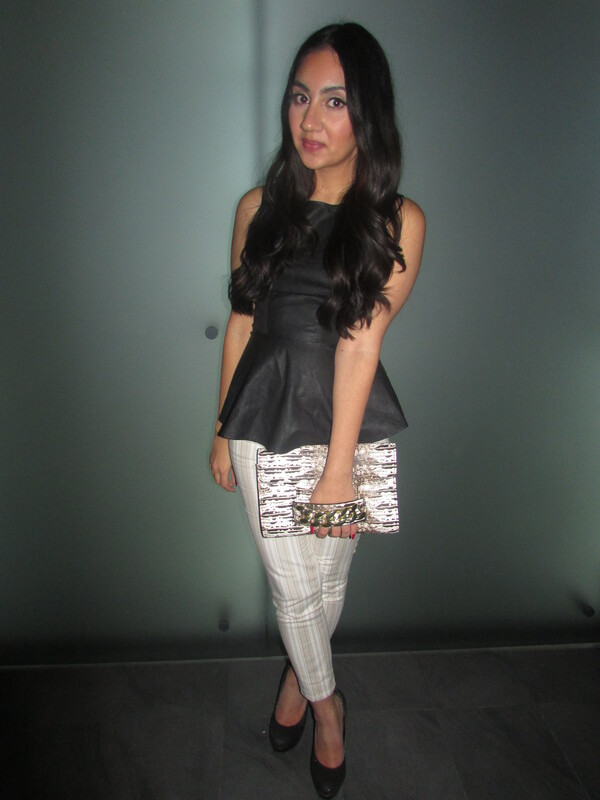 The beautiful Stephanie Vautour, Business Development Manager of Eligible Magazine. As for my outfit I wanted to stay away from any bright colors and keep it mostly black and monochrome, as I assumed this would be the unofficial dress code of the night. I honestly do NOT like peplum style anything (hypocritical, I know)but I bought this shirt more than a year ago and because half the shirt consists of faux leather it has stuck around in my closet. 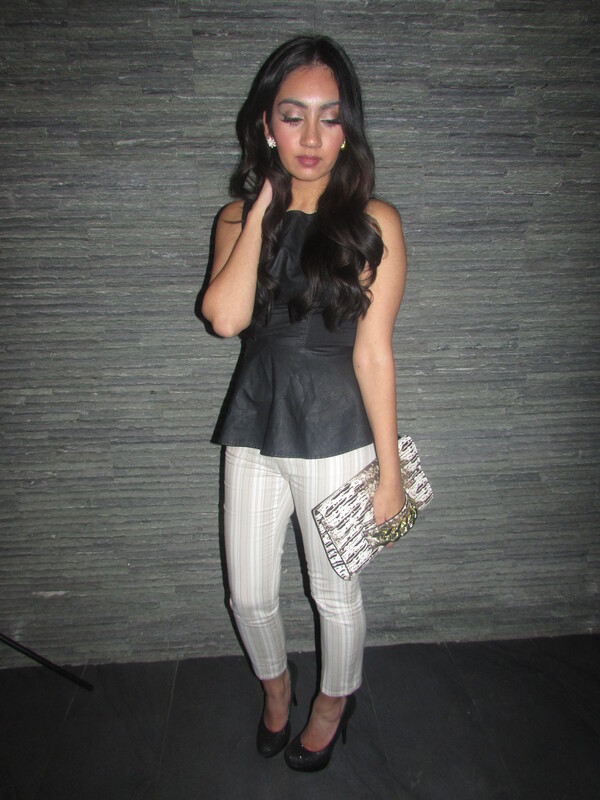 Sticking to the non-bright colors theme I paired it with these dress pants that are off white with beige stripes. 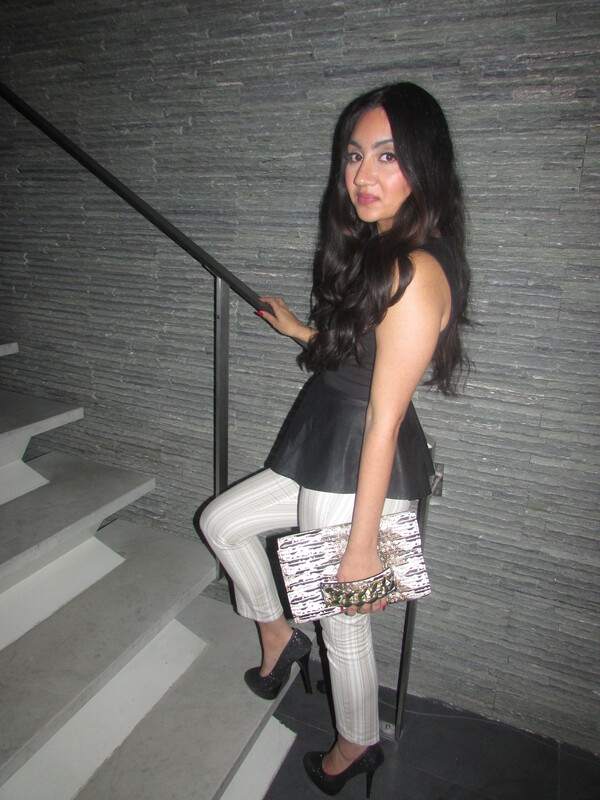 I wore white pants after Labor day, on a day that was freezing cold and there was snow everywhere, it made me feel kind of cool and rebellious.Paired with this clutch firstly because it is just so easy and fun to hold and it since it was off white with brown details I thought it was a perfect clash with the lighter white and brown stripes from my pants. Don’t forget to check out www.eligiblemagazine.com to see the newest bachelors in your city and read all about the fashion, dating, health and so much more! Be sure to follow me on Instagram @almostfashionable to see the latest events, outfits and sneak peaks! Thank you so much for attending and I’m happy to see you had a wonderful time.